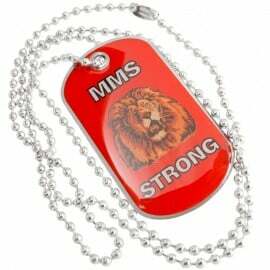 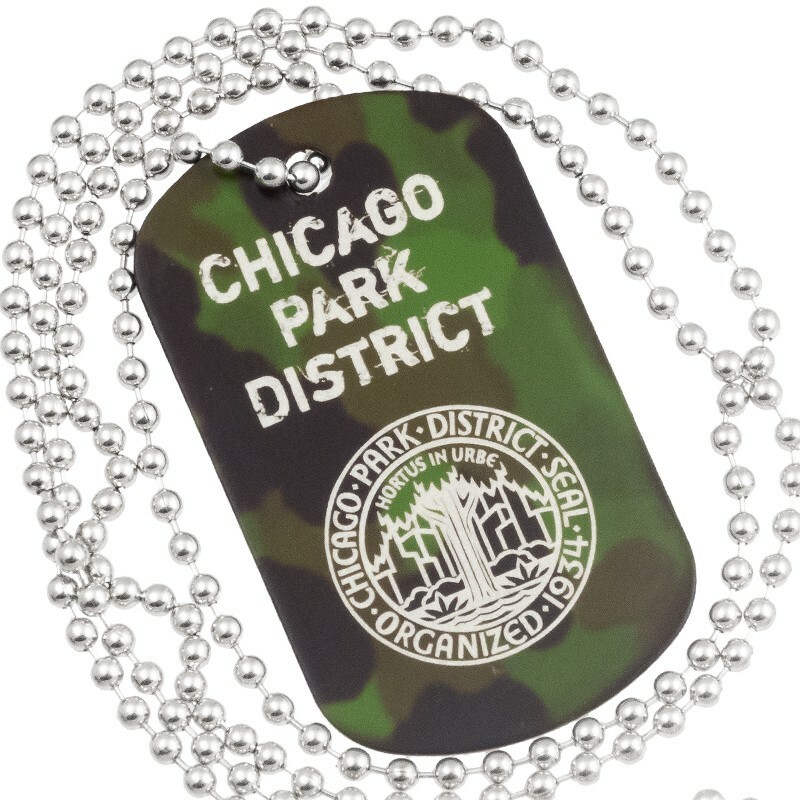 These creative camouflage dog tags are custom engraved with our state-of-the art fiber lasers so your logo, graphic or text is incredibly detailed and visually pops off the tags! 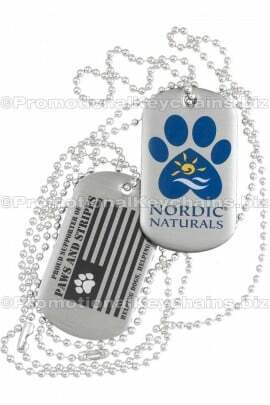 With our dog tags being laser engraved it means any text or graphic is permanently etched into the tag and appears in a silver white against this dark camouflage pattern. 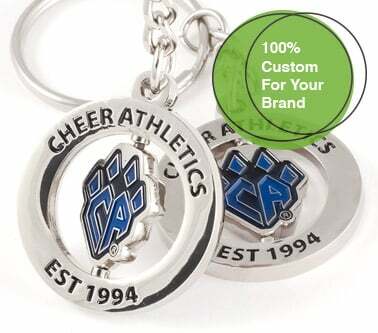 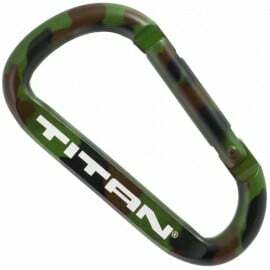 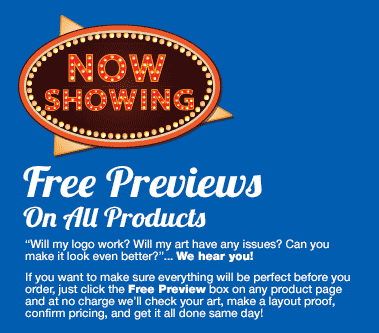 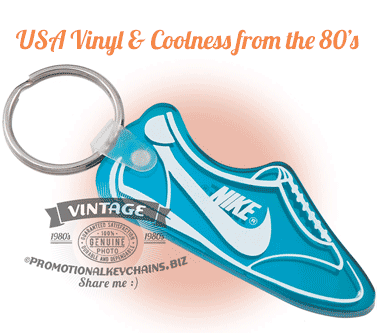 Whether you're ordering these for a camping trip for the kids or to give away as gifts, promotional items for your business — you will be proud to show your logo or text off. 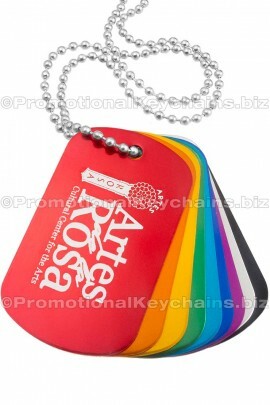 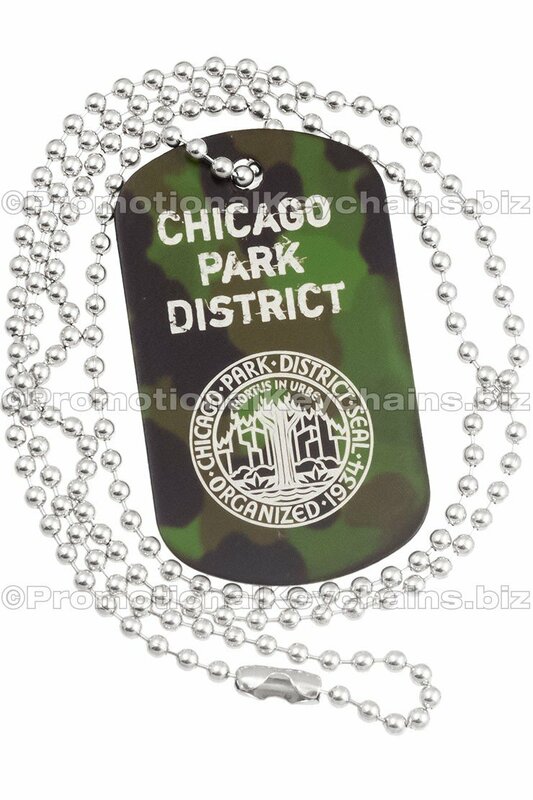 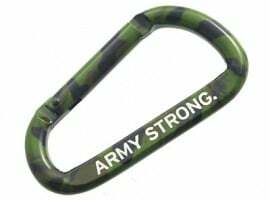 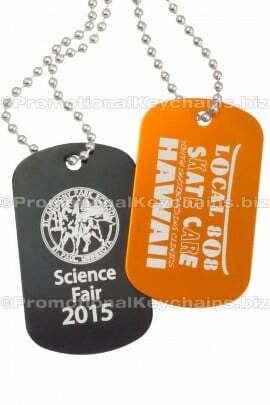 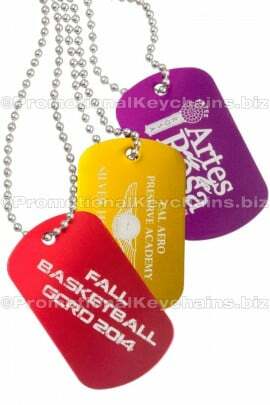 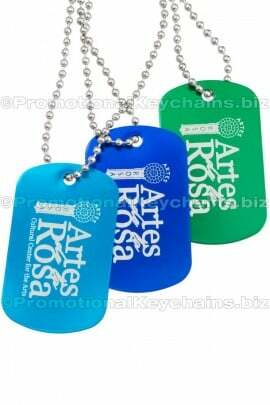 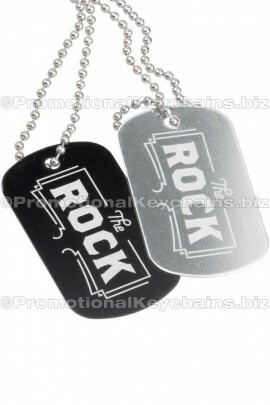 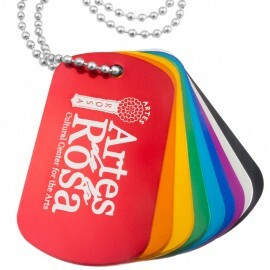 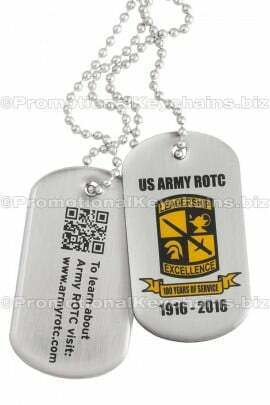 These cool camouflage dog tags can be engraved on both front and back, plus we offer very fast 3 business day production! 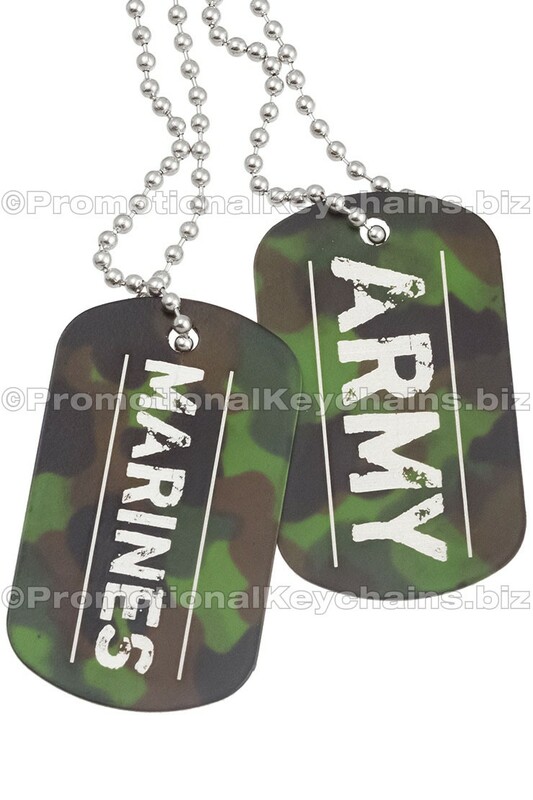 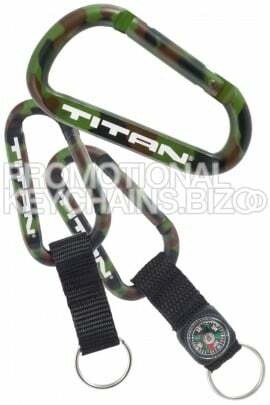 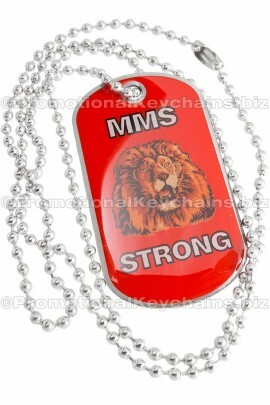 Pick from either key rings or 30” chains to go with your tags - both made to fit perfectly on these camouflage dog tags. 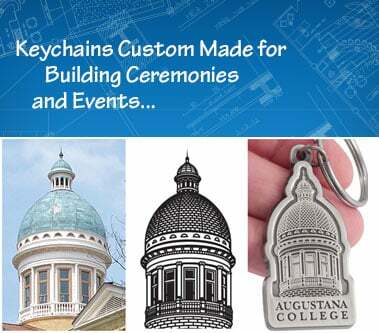 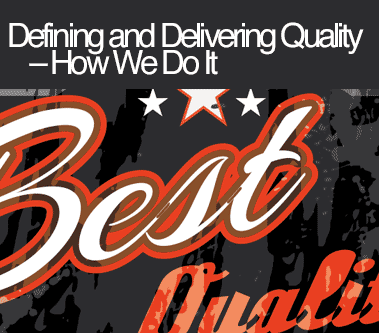 Send us your logo or ideas for customized laser engraved text and our talented art department can send you a proof and quote!